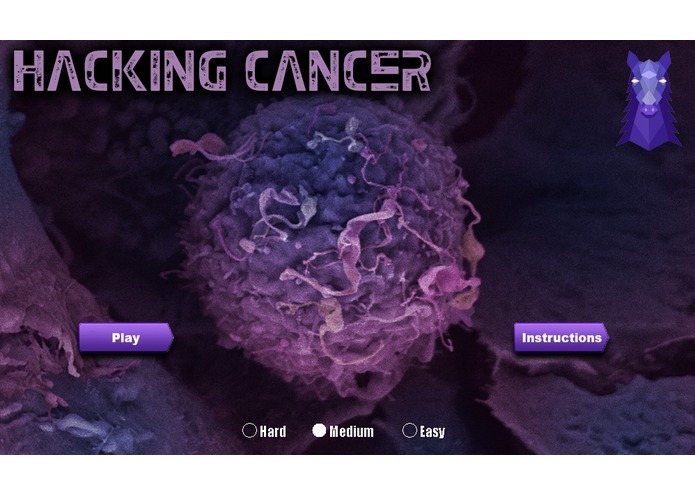 HackingCancer is an attempt to create a challenging web applet game in Java with the main purpose of utilizing the power of crowd-sourcing to improve cancer research. Our goal for this application was to create a way for people around the world to connect with each other and focus on improving the society by making a daily impact. Everyone has the power to help. This is a Side-Scrolling Platformer game in which the user first creates their own map from visual representations of a Gene Micro-array. The user is challenged to determine the path with the most amount of orbs present which would allow them to collect these orbs in the second stage of the game. This path is an unautomatable process due to sheer amount of data and thus is the bottleneck for scientists in their progression to find a cure for cancer. Allowing users to solve these simple problems has been statistically proven to increase analysis speed by 600% (Jonna Reynolds, Cancer Research UK). Once the map has been created, the user is placed at the starting point on their own map. The map is populated with many monsters with various intelligence levels that will kill the user if they touch them to make the game challenging and competitive. Upon reaching the finish line the user is shown their score and the score + the extracted research data is saved online in JSON format for further analysis.